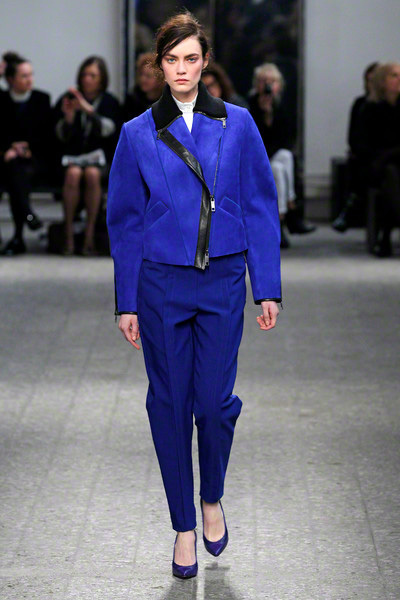 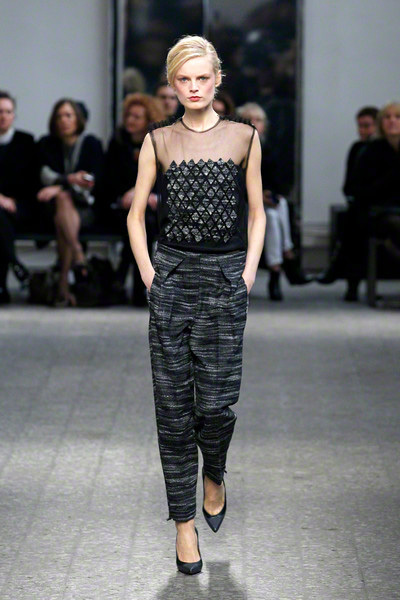 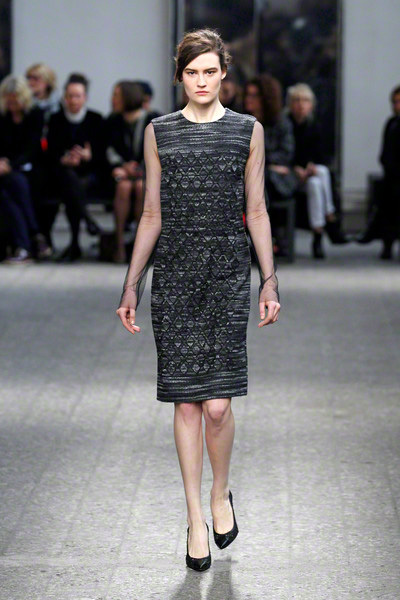 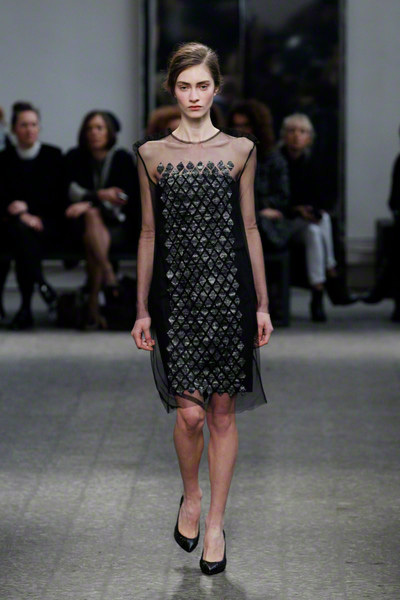 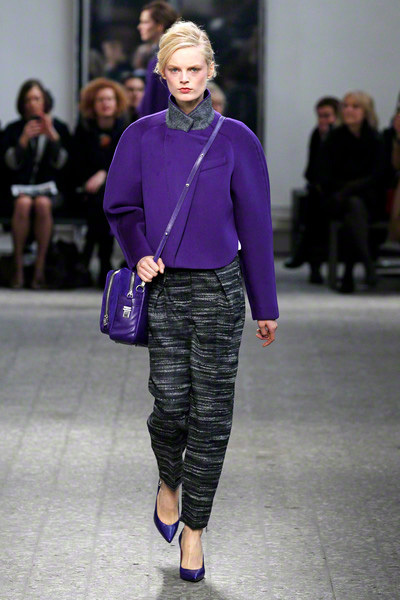 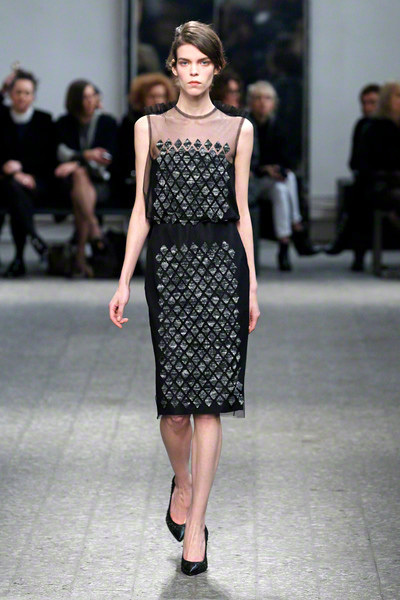 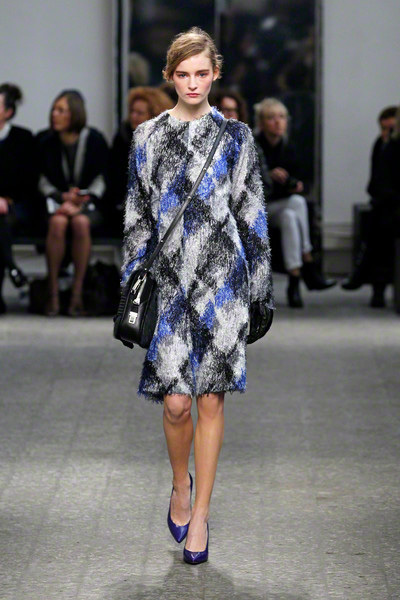 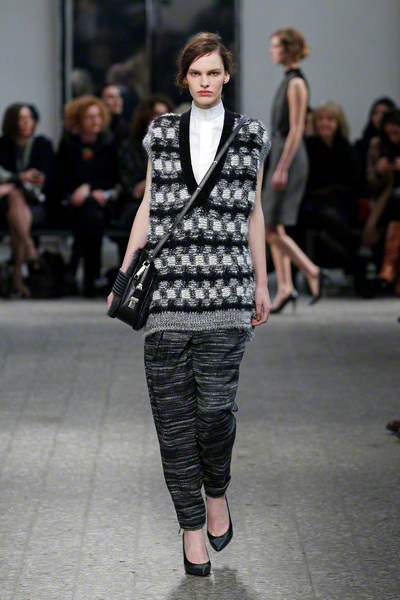 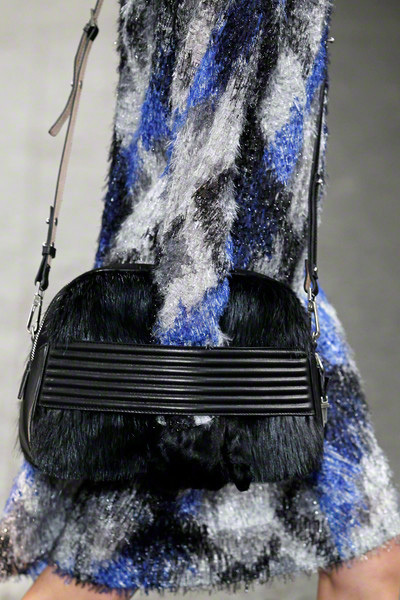 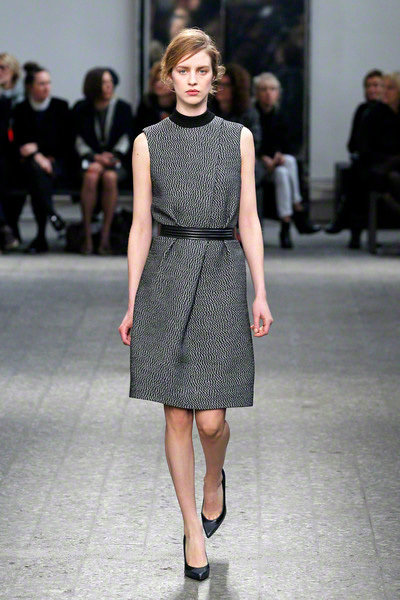 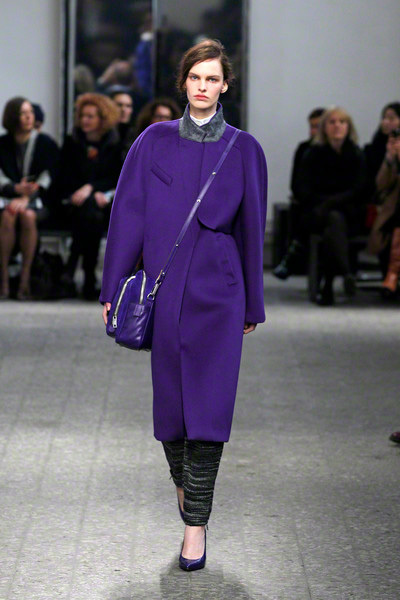 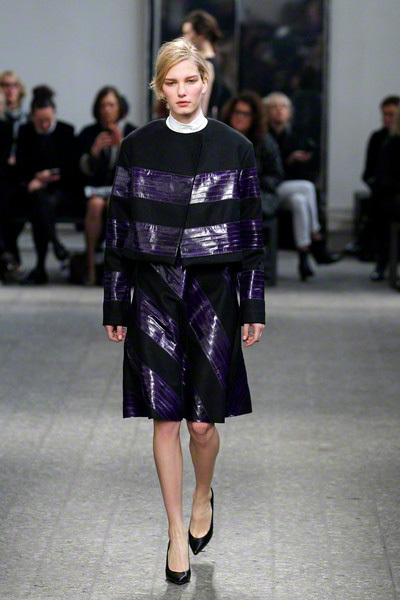 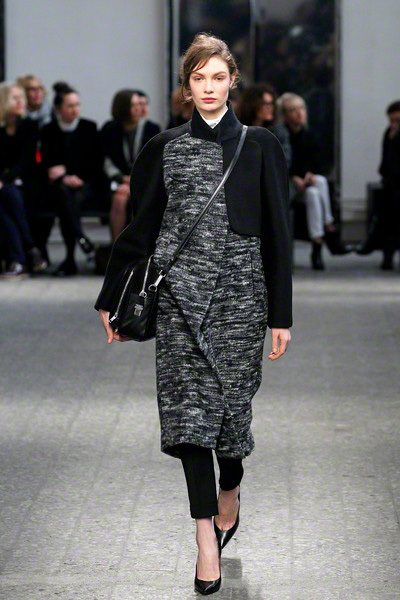 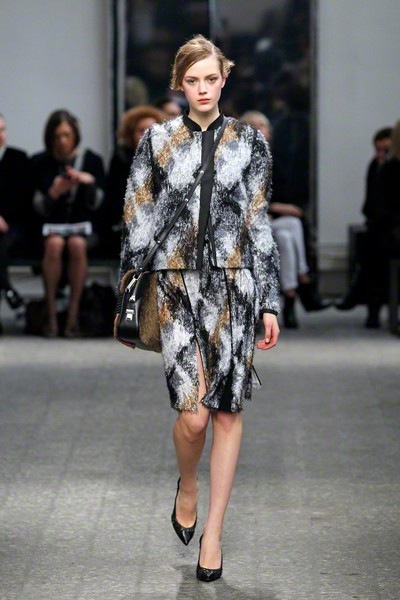 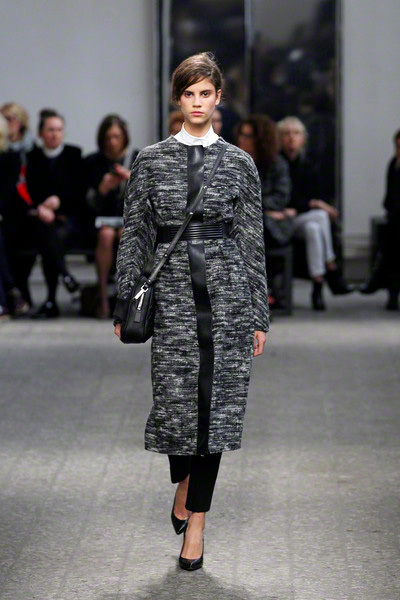 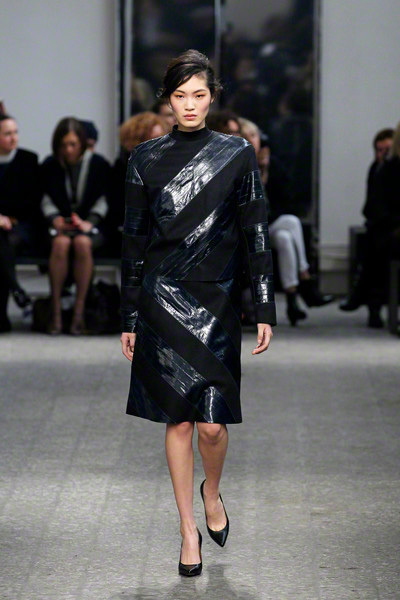 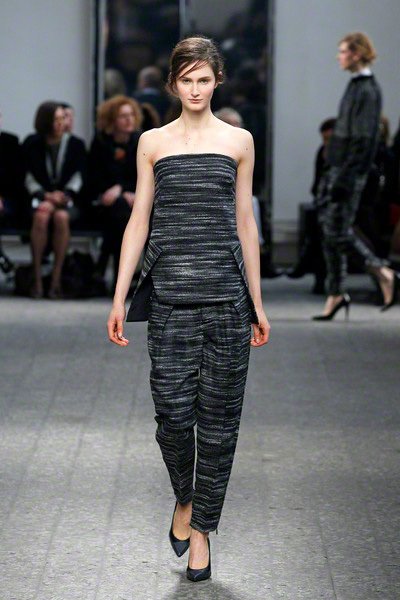 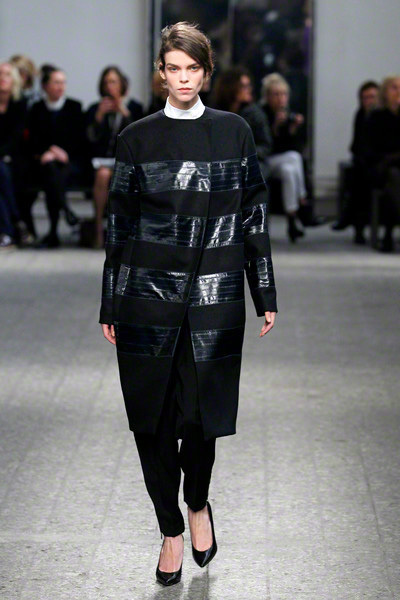 The Sportmax-collection was about proportion, transparency and texture. 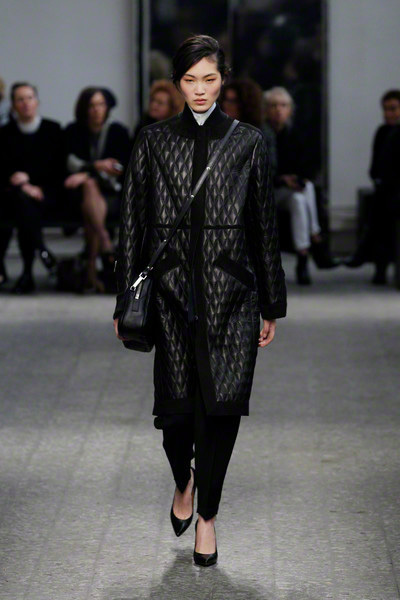 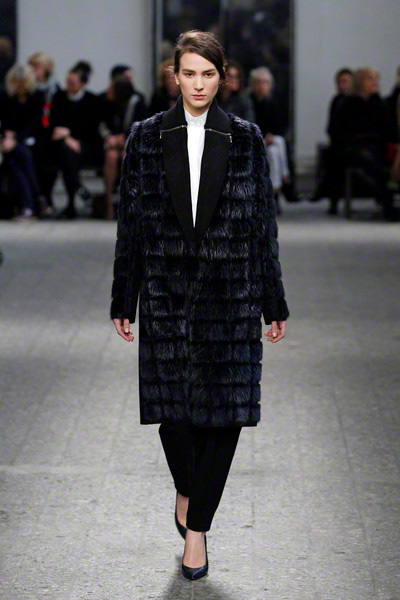 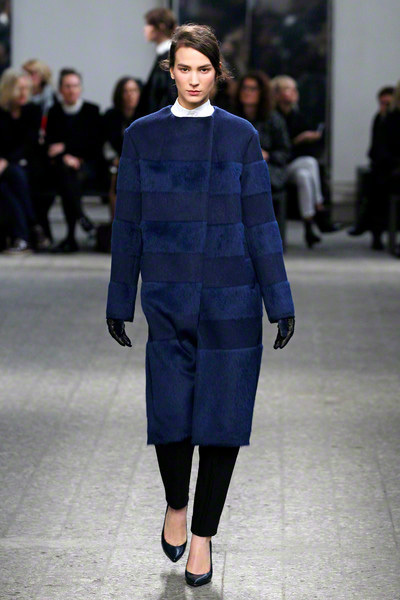 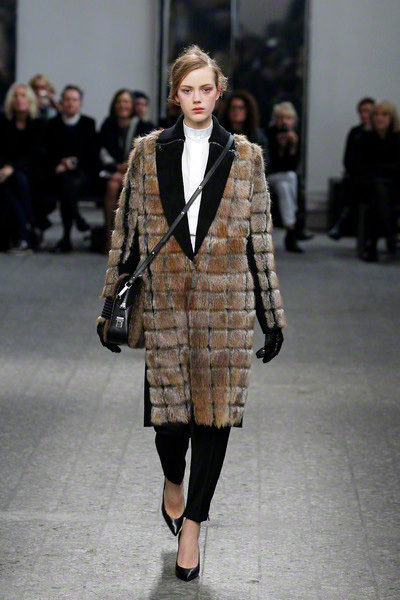 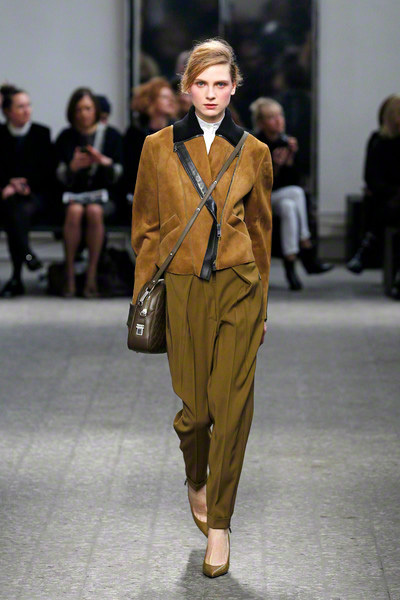 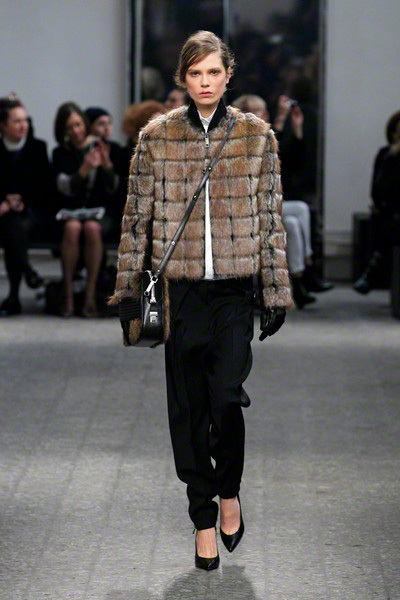 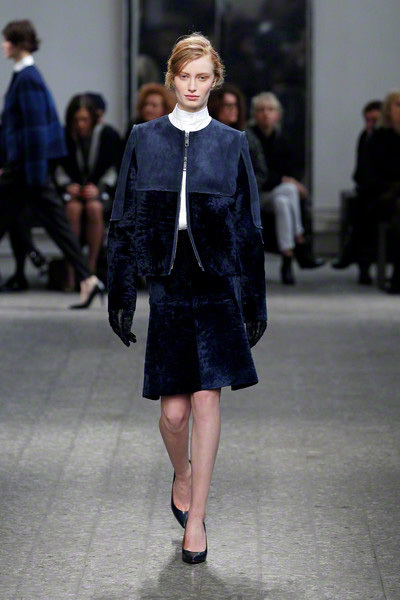 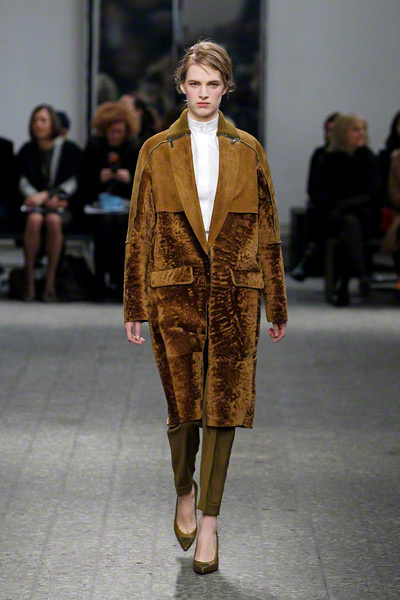 And example was the first outfit that entered the catwalk: a beaver coat, its fur cut grid-like in front, with a black, tuxedo-like lapel and suede back. 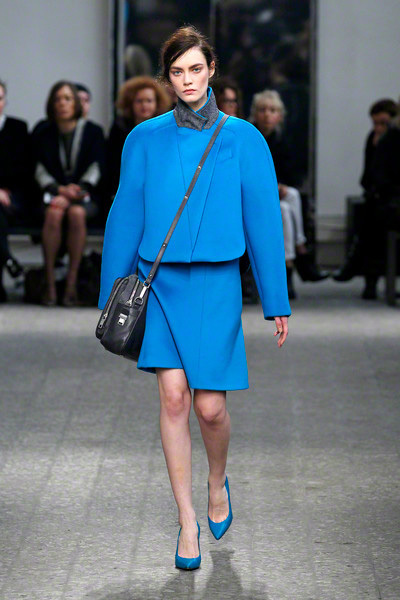 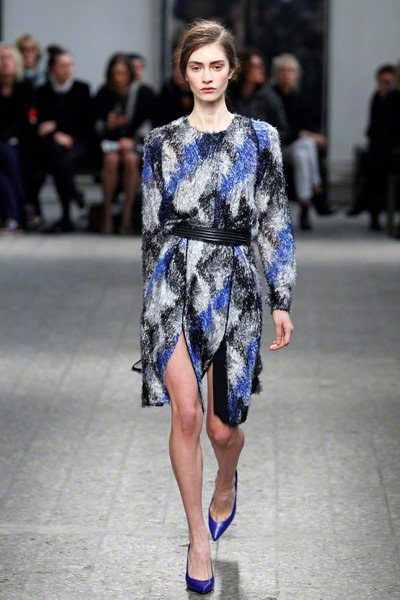 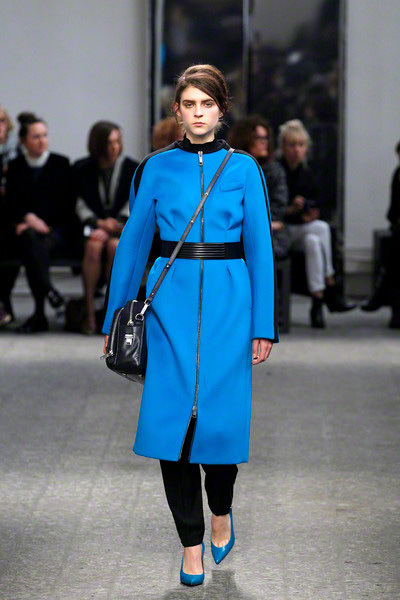 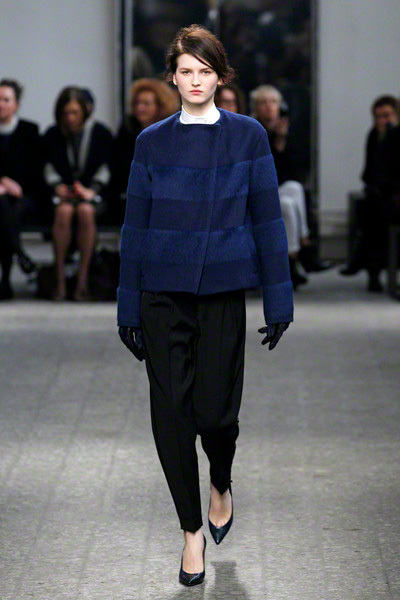 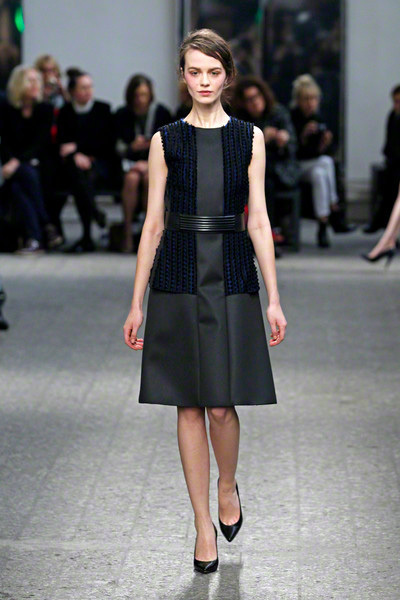 Other tops had more volume, sometimes with rounded cocoon shoulders and graphic datials like blue eel skin stripes. 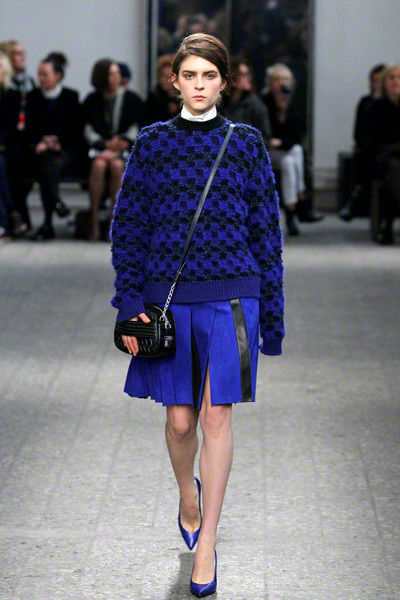 The big knit sweaters felt cozy. 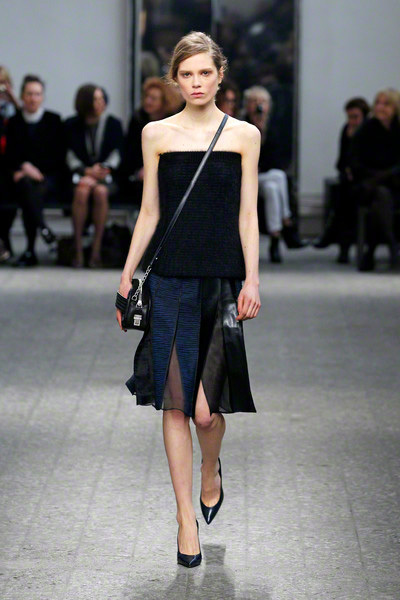 Often, the pleats of skirts and dresses served as a way to mix fabric and leather. 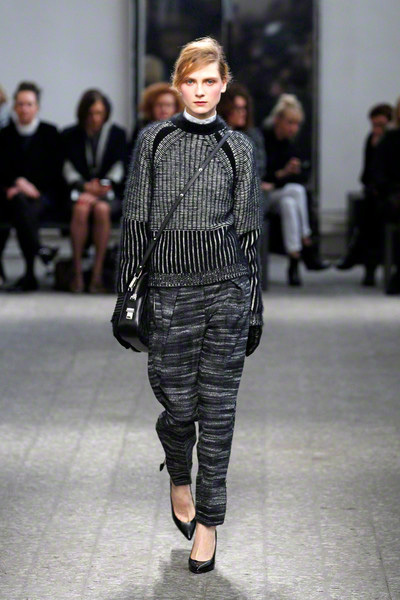 The effect was cool and sophisticated.